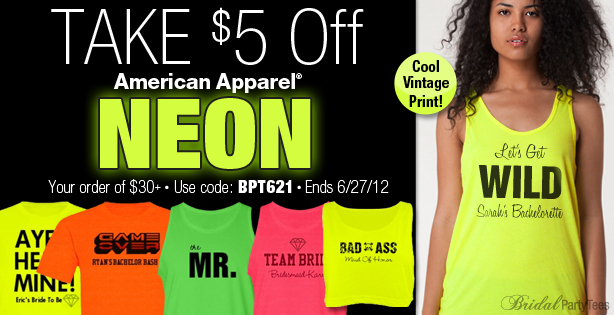 Our new American Apparel® neon t-shirts, tanks and crop tops are sure to get you some attention this summer! These bold tops feature a cool vintage print for your fully customizable design. Get $5 off your purchase of $30+ with promo code BPT621 at checkout. Offer ends 6/27/12 at 11:59 EST.